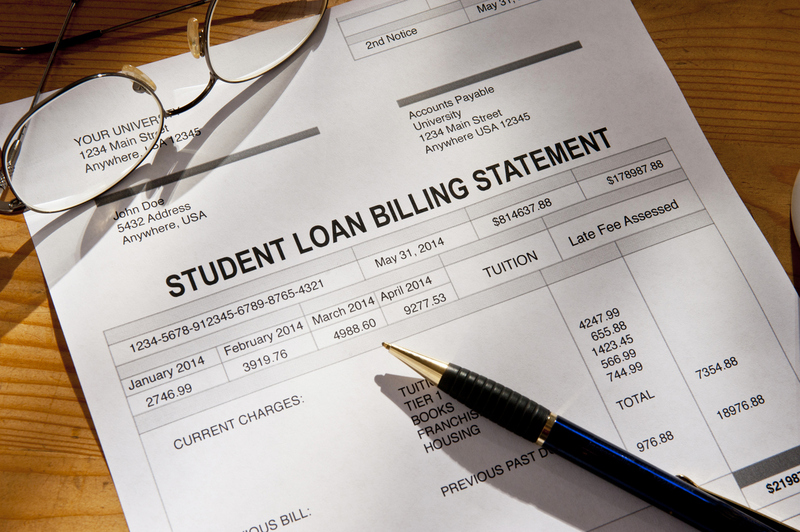 Editor’s note: This is part one of a two-part series on student loan repayment options. Part two covers how to determine if you qualify and should participate in the Public Service Loan Forgiveness Program. With many job opportunities available at hospitals, schools and other nonprofit institutions for communication sciences and disorders professionals, the Public Service Loan Forgiveness (PSLF) Program offers applicable and helpful loan repayment options. Navigating the qualifying requirements, however, can cause more frustration than learning to insert a flexible fiberoptic endoscopic examination of swallowing scope. Created as part of a larger congressional act in 2007, PSLF allows qualifying professionals working full-time in public service to get their federal direct student loan balances forgiven after 120 qualifying payments. Keep in mind, it was given life by Congress and they can take it away at any time. It’s a fantastic program. No matter your balance—even if it’s six figures—you can be rid of your loans after 10 years of making reasonable payments. Turn that frown upside down! To take advantage of the PSLF, you have to meet criteria in the three categories of employment, loan type and repayment plan. The two areas to focus on within the employment criteria are full-time and public service. According to the rules of the PSLF, a public service institution is a government organization at any level, a 501(c)(3) organization, or other not-for-profits providing qualified public service. The two obvious employment candidates for ASHA members are hospitals and schools, as long as they aren’t a for-profit version. While those two are the most abundant options, they aren’t the only ones. Don’t be afraid to get a little wild! For example, if you’re an SLP here in the Phoenix area, working for Arizona Autism United completely qualifies, given the organization’s 501(c)(3) status. To qualify as full-time under PSLF, you need to average 30 hours a week or meet your employer’s definition of full-time, whichever is greater. If you work for a school, your contract for the school year is considered full-time even though you’re not technically working the full year. Tip: You don’t need to average 30 hours with a single employer! If you are a PRN employee for 20hrs/week at one hospital and 15hrs/week at another, that should qualify. Tip: Loophole! You can make FFEL and Perkins loans eligible by consolidating them into a Direct Consolidated loan. Be very careful, though; consolidating loans can have unintended consequences. Payments must be made after October 2007, plus fall under one of the income-driven plans to qualify, and leave a possible balance for forgiveness. This leaves you with five options. Each has its own wonky requirements detailed on this student loan cheat sheat. Why? They’re the best plans and the first ones you should investigate. In addition to the aforementioned loan requirements, your total federal loan balance will need to be within a couple thousand of your annual income or higher. Peruse the graphic to see how payments get calculated for each plan. If you get rejected by The Terrific Two, try one of the following three options. Each has its own unique issues, but are still worth using with a well thought-out strategy. Tip: Many CSD professionals should avoid REPAYE. Learn more about why REPAYE is a sneaky bad option. Author Note: Find out more about PSLF requirements in part two of this series. Does this work if you have consolidated student loans with your spouse? We were advised to consolidate and it was the worst thing we ever did. Made me not eligible for other student loan forgiveness programs. It’s complicated but depending on the loan type there’s a possibilty. If it’s a joint consolidation via the FFEL it cannot be done. However, if it’s a joint consolidation via the direct program theres a chance. For the full balance to be forgiven after 120 payments both you and your spouse would have to be employed by a qaulifying employer. If you’re not both empolyed by a qualifying employer at that time you still may be able to have your orignal portion of loans forgiven, you would then both be responsible for paying whatever was left over. What date did this program begin. I recall looking into this before, but thinking I didn’t qualify, as I received my loan literally a day before this program was put into place. I started taking graduate student loans in fall of 1998. I have since paid off my loan, but have always wondered if I missed out. The program started in October 2007. All of the 120 payments have to be made after Oct. 1, 2007 to qualify. I tried on and off for years to be eligible for some sort of loan forgiveness. When I tried the 1st time I was told I didn’t qualify because I was a SLP, not a teacher. The 2nd time I was informed that I did not qualify because my loan originator was not “Direct Loan” I was encouraged to consolidate to Direct Loan but the interest rate was very high and after doing the math it would not benefit me to consolidate my loans that I had already been paying for a very long time so that I could make another 120 payments of almost double the amount. I am happy to say that I recently paid my loans off and that even though it would have been wonderful to get free money, I still have the satisfaction of being debt free. Be very careful and know what you are doing before you sign anything. Congratulations on being free of your student loans, Chris! It’s a great accomplishment. Consolidation can definitely be sketchy. It has it’s purpose but is not always the right choice.